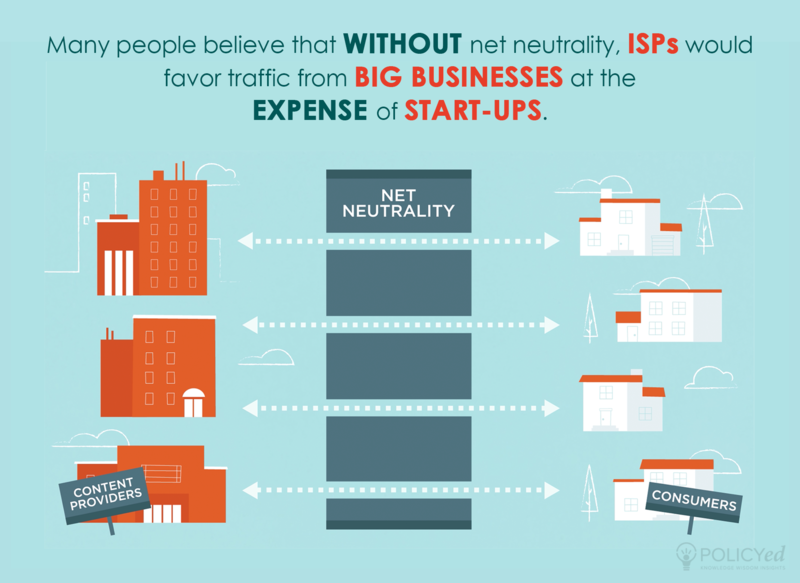 Many individuals believe that without net neutrality, ISPs would promote traffic from big businesses at the expense of start-ups, thereby stifling innovation and reducing consumer choice. 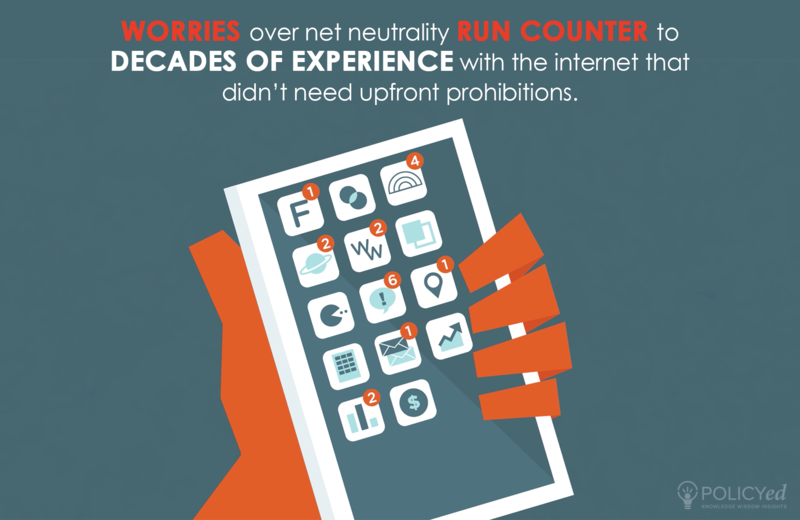 Although many people believe that without net neutrality ISPs would favor traffic from big businesses at the expense of starts ups, these worries originate from unlikely, potential abuses that run counter to decades of experience with a thriving Internet that didn’t have upfront prohibitions. 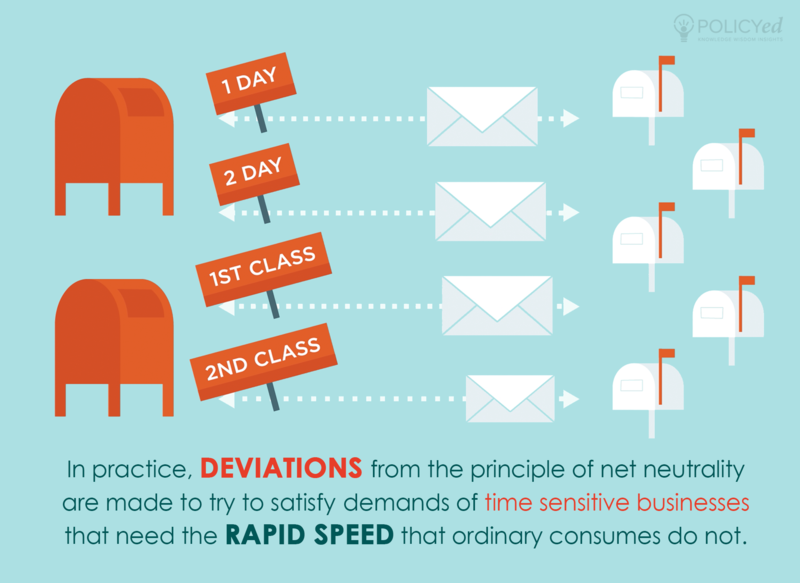 Even in practice, deviations from the principle of net neutrality are made to try to satisfy very different demands. Time sensitive businesses like finance companies need the rapid speed that ordinary consumers do not. 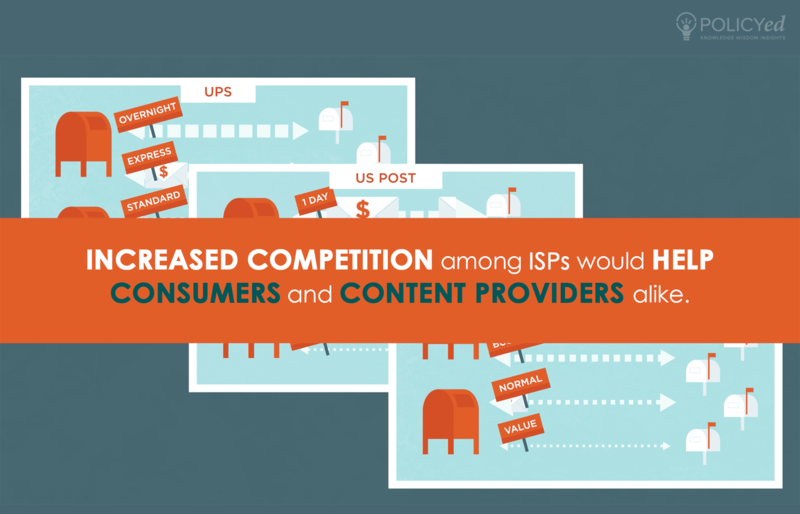 Since no one wants to give monopoly protection to a few privileged internet service providers, the cure is to increase competition among high-speed providers. 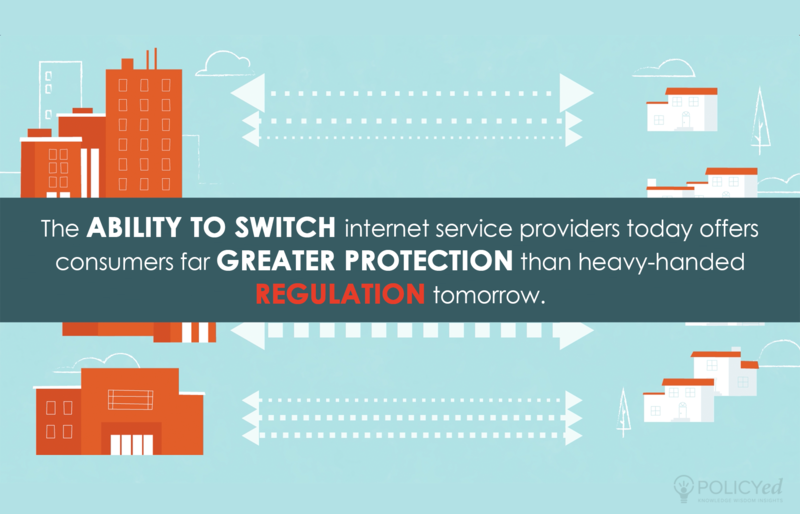 Providing consumers with an ability to switch providers is far better than heavy-handed regulations.